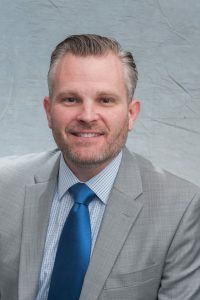 WDBC President Bryan R. Bedell, DBIA, Haskell Vice President, Division Leader – Water, previously served as First Vice President/Treasurer and Second Vice President/Secretary on the WDBC Board of Directors. Bryan’s experience includes integrated delivery projects at various levels. Over the course of his career, he has helped countless owners realize the benefits of integrated project delivery. As the leader of Haskell’s Water Division, Bryan is responsible for project oversight, profit and loss, development of opportunities, strategic partnerships, and teaming. He oversees projects from inception through to completion while maintaining a high level of client interaction to ensure satisfaction with the project. As a design-builder with close to 20 years of experience in all aspects of project delivery, Bryan is able to bridge the needs and requirements of his clients, planners, design engineers, constructors and operators, ensuring that all stakeholders collaboratively develop excellent solutions. He has led project delivery teams throughout the U.S. on both water and wastewater facilities delivered through design-build and construction management at-risk (CMAR) delivery methods. His project management responsibilities include overall planning, execution and control, startup, and closeout on water and wastewater projects up to $250 million in project cost.